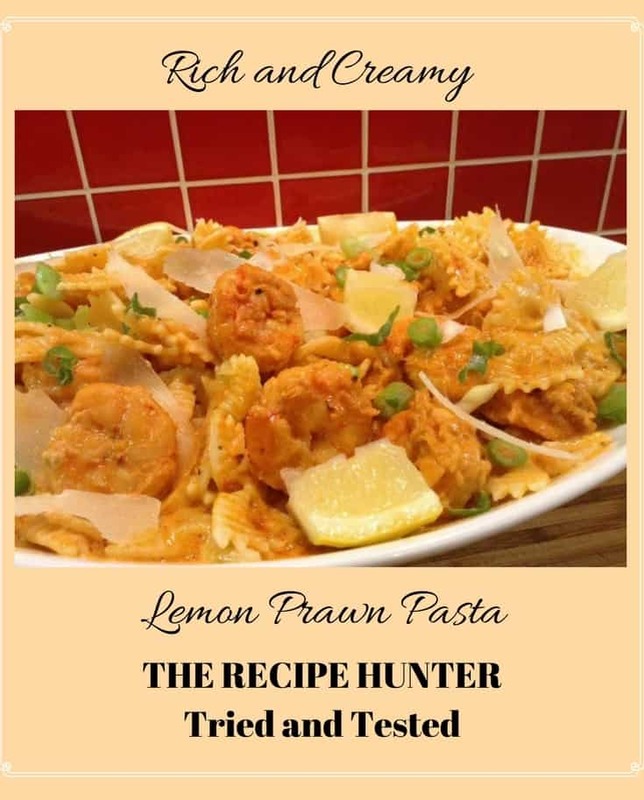 Yummy prawn pasta 😙hope you Enjoy!! 400 g Farfalle Durum Wheat Semolina pasta. Cook according to packet instructions. Drain and set aside in a serving dish drizzle with olive oil. 400 g Prawn meat, deveined, shells off. In a bowl make the marinade paste with the following ingredients. Coat prawns in marinade and set aside for 1 hour at room temperature. In a skillet sauté prawn meat for 3 mins. Adjust sauce with salt and ground black pepper to taste. In a saucepan melt butter, garlic, mustard & lemon juice. Cook on medium heat for 2 mins. Add cream and paprika and whisk vigorously. Cook slowly for 5 mins until reduced a little. Once prawns are cooked add to pasta sauce. Throw over pasta and toss.